Now you can teach challenging reading comprehension skills through novels without having to spend all those hours preparing for literature circles or book clubs. 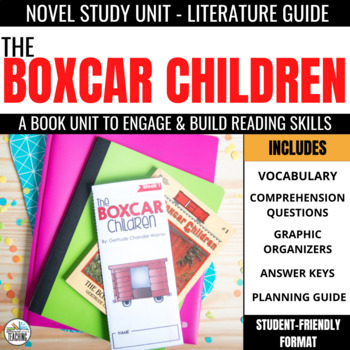 Rest assured your students are developing stronger text analysis and critical thinking skills with these The Boxcar Children novel study activities. 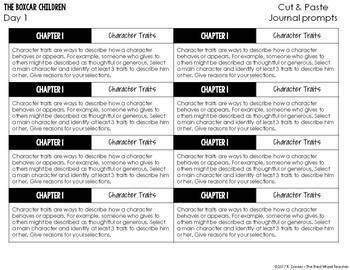 This no fluff novel study format engages students with this beloved novel, but it doesn't overwhelm your readers with countless chapter questions that just require them to regurgitate the text.Instead, each day's lesson targets one key comprehension skill essential for reading success.The entire day's lesson can be just focused on building that skill, which has been carefully aligned to state and Common Core standards. When it comes time to respond, students are asked to use critical thinking skills and combine their own thoughts and opinions with the text to go beyond just a basic understanding of the plot . 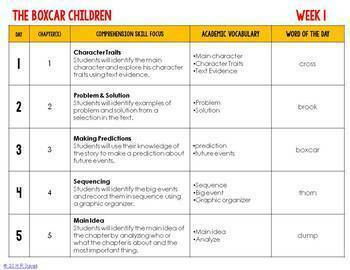 Planning to use novels throughout the year? 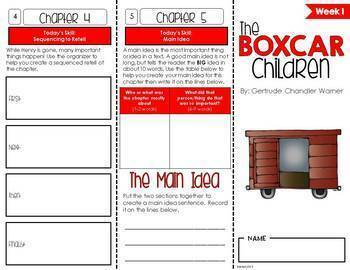 Save time and money with theBuild Your Own Trifold Novel Study Bundle! Pick 10 novel studies for one low price! © 2015 The Third Wheel. All rights reserved by author. These materials are intended for personal use by a single classroom only. Copying for more than one teacher, classroom, department, school, or school system is prohibited. For use in multiple classrooms, please purchase additional licenses. This product may not be distributed or displayed digitally for public view. Failure to comply is a copyright infringement and a violation of the Digital Millennium Copyright Act (DMCA). Clipart and elements found in this PDF are copyrighted and cannot be extracted and used outside of this file without permission or license. See product file for clip art and font credits.